There are several nursery slopes and the main area is conveniently located at the base of the Hahnenkamm. With the help of the ‘Red Devils’ ski school in Kitzbühel, learning is made easy and great fun. What makes this area unique is that you won't move off the free beginners area until your 2nd day. The choice of blue and red runs is extensive with lots of wide open slopes on the Kitzbüheler Horn and the scenic area of Pass Thurn. The Hahnenkamm has a large interlinked network of lifts which encompasses the areas of Kirchberg, Aschau, Aurach, Jochberg and Pass Thurn. A further 800km plus additional runs can be explored with the Kitzbüheler Alps AllStarCard. The ultimate challenge is the ‘Streif’ with its vertical ‘Mäusefalle’ which even the ski racers fear. Off-piste skiing is also good and varied, one of the best areas is at Pass Thurn, where modern lifts carry skiers towards the Resterhöhe area for some of the finest skiing in the region. Kitzbühel’s two snowparks offer plenty of fun and challenges, as do the various special snowboarding pistes provided throughout the area. 'The Hahnenkamm run in Kitzbühel - it remains one of the iconic challenges. Stopping and looking down from the top of the Mouse Trap is one of those moments that gives you some measure of the incredible courage of the top downhill racers' (Anni Mothes, Product Manager Austria). The Hotel Kaiserhof is elaborate and charming with an ideal location next to the famous Hahnenkamm gondola. Many guests fall in love with its traditional Austrian design, homely feel and impeccable quality of service. Overlooking Kitzbühel with wonderful views, the Hotel Schloss Lebenberg combines the style of a former 17th century aristocratic castle with modern comforts. The superb Hotel Schwarzer Adler offers a plush design and extensive leisure facilities including a rooftop pool with stunning views. 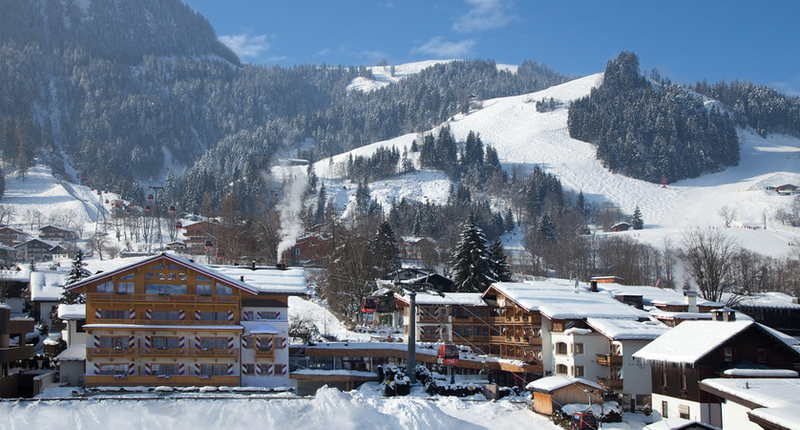 It benefits from an ideal location close to the pedestrianized centre of Kitzbuhel, within walking distance of the Arlberg cable cars. Hotel Schweizerhof benefits from an ideal position opposite the Hahnenkamm gondola, you can enjoy alluring views of Kitzbuhel and surrounding mountains. Plus the option for a charming downhill walk to the resort centre. Set in the vibrant heart of Kitzbuhel's medieval pedestrianized centre, Hotel Tiefenbrunner has been lovingly run by the Brunner family for over 200 years. It has a uniquely painted exterior that is demonstrative of its character. 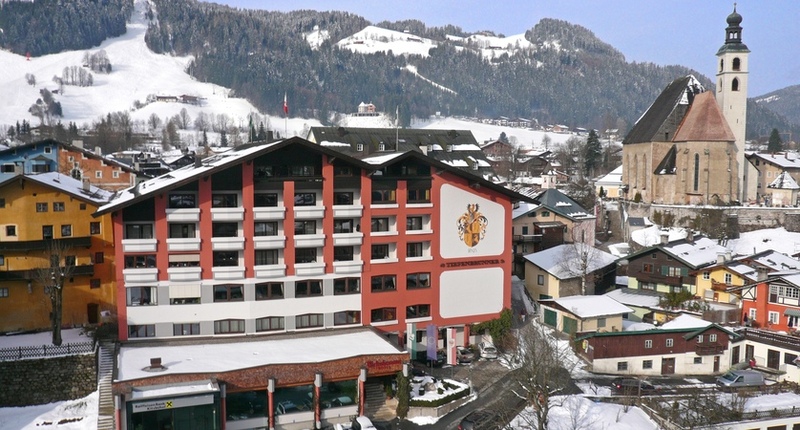 Enjoying an ideal location in Kitzbühel, the popular Q Hotel Maria Theresia is only a short stroll from the village centre and a 4 minutes' walk from the Hahnenkamm gondola. Private transfers and Self-drive is available.